UPDATE: “BeerSmith Mobile” 2.2.59 was released on 2 October 2015 and corrects this issue – please update your app via the app store. 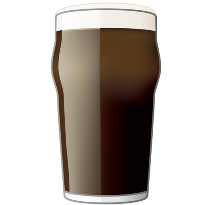 “BeerSmith Lite” version 2.2.59 has also been released and is available for download now. These should correct any issues. Please use the support page if you continue to have problems. Many users who have installed the latest IOS 9.0.1 update from Apple are reporting problems with the BeerSmith Mobile and BeerSmith Lite apps on their iPhones and tablets. Specifically the app fails to respond to many navigation buttons (save/cancel/home/etc…). I do sincerely apologize to all users of our apps. So despite my best efforts, the app is not working under IOS 9.0.1. If you have not upgraded to IOS 9.0.1 yet, I recommend holding off for another week or so until the revisions to BeerSmith Mobile and BeerSmith Lite are in place. Also please do not delete/reinstall your app as this can result in loss of data. I have implemented another set of fixes and sent them to Apple for review but it typically takes 5-8 days to complete the review/release cycle. Hopefully the updates will be quickly approved and released, but until then you will need to be patient. Again I apologize for the inconvenience. Of course it doesn’t work when I need it. I deleted the app then re-installed thinking that would make the app work. I ended up losing all my recipes. I’m pissed and not happy with beersmith. Why weren’t you ready for the update? Very sad, disappointed user. Perhaps I was not entirely clear – Apple released 9.0.1 without sending it out to Apple Developers (like me) first. So I had zero opportunity to know about the problem or correct it, even though I worked the IOS9 release many weeks in advance. The app I released worked properly with IOS 9.0 as well as all of the beta versions of IOS 9.0 as well as IOS 9.1 (beta). It was only the unscheduled release of IOS 9.0.1 that broke it. Despite the fact that Apple has still not released IOS 9.0.1 in the developer tools, I managed to implement a fix to BeerSmith Mobile less than 12 hours after IOS 9.0.1 was released. Since then it has been awaiting two separate reviews by Apple (beta and final) that need to be completed before the fix can be published. Apple usually takes several days to do this. So far from “not being ready” – I’ve literally done everything I can to assure that BeerSmith worked with IOS 9, and after the unscheduled release of IOS 9.0.1 implemented a fix as quickly as I possibly could (within hours). Regarding your data – you might check the iCloud backups (if you have these turned on) as you may be able to restore your app and data. Thank you Brad for putting out a notice as to what is going on. Most app developers don’t bother to let users know that their app has issues and those issues are being addressed. Your product and support continues to be excellent. I’m sorry the user above didn’t have enough common sense to do some research before deleting the app and blaming you. Better yet, why not use BeerSmith Cloud? It’s an affordable piece of mid. Thanks for the honest and accurate update. I knew right away must have been the update from Apple. Keep up the good work and thanks for publishing this update to keep us informed. I recently purchased the mobile app for iOS, and while I was at first disappointed to see it wasn’t working, I’m still very excited about using it. And on my first search for the issue, I was brought to this page. As a seasoned systems analyst, I completely understand what it takes to push software releases. I appreciate your quick response to the issue and your communication about it. Only thing you may consider is an alert function…but only assuming this could happen more in the future…that way users get the message directly in the app. Regardless, I’m happy to see your post. Not sure if you have others helping you test, but I might be interested in helping, at least when I’m not working. I realize this was an Apple issue, but I’m just thinking in general. Reach out if you might be interested. Brad, Thanks for dealing with this as promptly as you did, and making the information available to the frustrated users. Any indication when the fix will be available? Hi guys! I’m just curious about if it’s “safe” update my iOS to 9.02 without killing my BS…have anyone tried? If you have the full “BeerSmith Mobile” app you can upgrade now. If you have “BeerSmith Lite” or the upgraded “Lite” version you should wait a few more days as Apple has not yet approved the new “Lite” version. Apple is not too fast with the lite version. I have the upgraded Lite. Can I install Mobile for free instead or is it two different apps?